The advocacy group D.C. Vote has started a petition on the White House website calling for the presidential limousine to carry the District of Columbia's “Taxation Without Representation” license plates. The group said Thursday that if 25,000 people sign the petition on the White House website within 30 days, the Obama administration will provide a response. The District adopted the taxation motto for its license plates in 2000 as a demonstration about its political status. District residents pay federal taxes but don't have a vote in Congress. 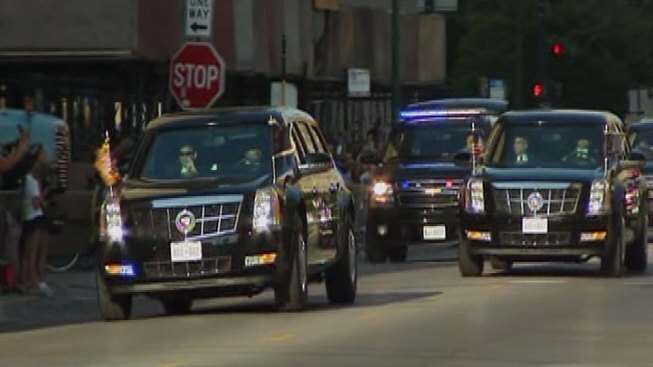 President Barack Obama has said he supports voting rights for D.C.
President Bill Clinton made the symbolic gesture of placing the “Taxation Without Representation” tags on the presidential limo. President George W. Bush reversed course. Obama did not restore the plates in 2008.